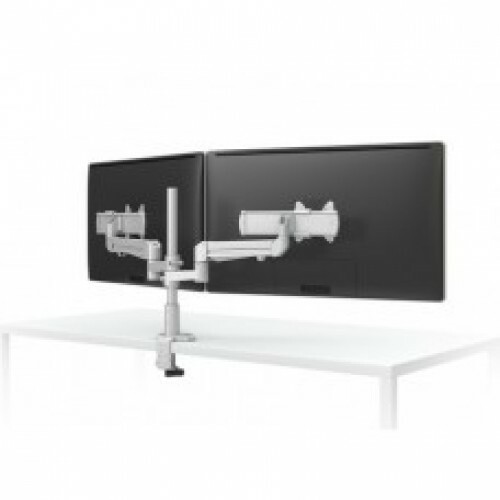 SAVE TIME & MONEY The EVOLVE and its unique design allows monitor arms to be RE-configured rather than RE-placed, to meet the needs of emerging technologies and changing environments – adding motion and reach, additional monitors, or even laptops to pre-existing configurations. SEAMLESS ALIGNMENT When a monitor arm is adjusted forward or backward, or rotated from a horizontal to vertical position, the ESI Slider seamlessly and effortlessly aligns monitors side-by-side. This allows the user to set their optimal viewing height and distance without limitations. GROW. ADAPT. EVOLVE. 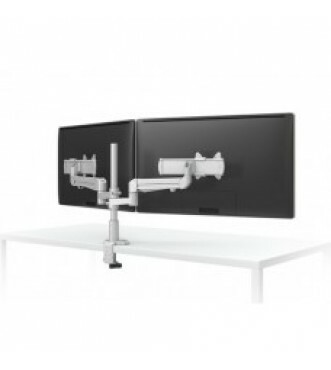 The innovative monitor arm series that evolves with the changing needs of the work place. • Max Monitor Width 27"